They're a classic dating back to 1938. Wayfarers will never go out of style, but just because they’re the quintessential sunny-day frame doesn’t mean it’s the only pair you should have in your arsenal. And nothing says “I’m nonplussed and can also pilot this rig in case of emergency” like a pair of pilot shades. Hence: the seventh launch through Ray-Ban Reloaded, the brand’s ongoing series of small-batch releases of heritage models. 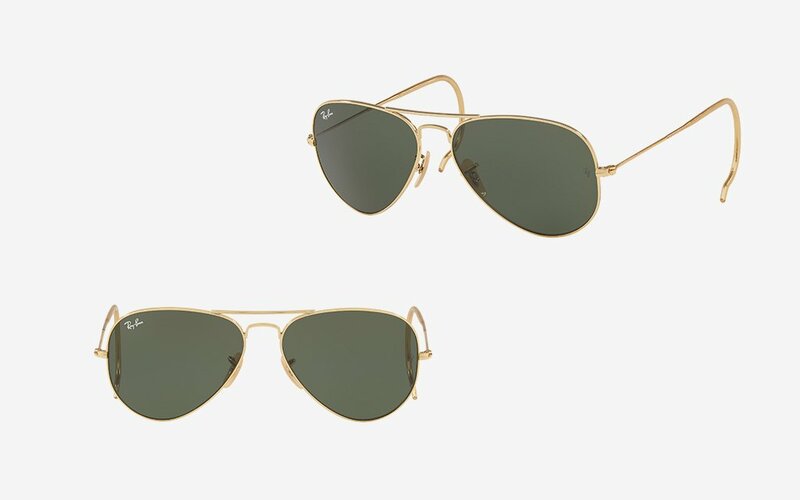 This time they’re offering up 500 pairs of super OG aviators, available only for the next five days or so through Ray-Ban.com. The model is inspired by the brand’s 1938 Aviators, launched when the brand was just one year old and at a time when aviation was making massive leaps in altitude and flight duration capabilities. You’ll notice the full wrap-around earpieces, which we’re necessary back in the days of open cockpits. Available with green lenses and gold frames or blue lenses and black frames, the sunglasses retail for $163.